The road that takes you to Glen Etive is a single track road with passing places. 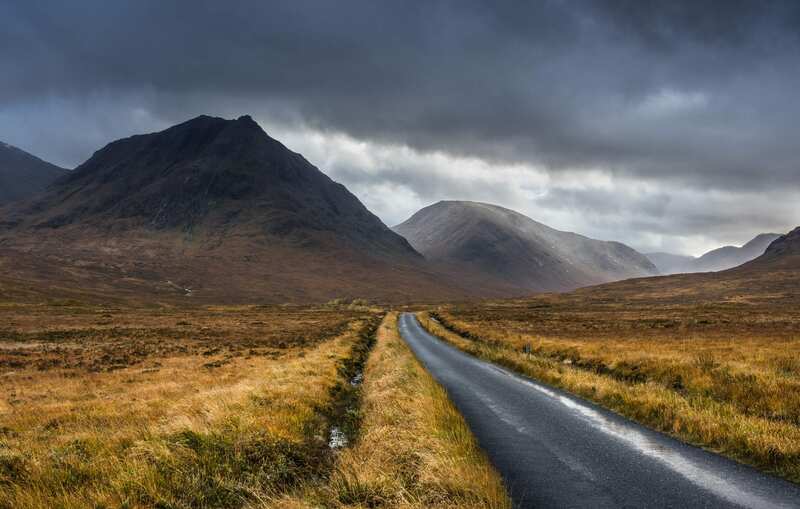 The road is less than 15 miles long ends at a small car park and disused pier at the head of Loch Etive but it leads you to some of the most stunning views you can find including the majestic Buacchaile Etive Mor mountain ridge. The route featured in a memorable scene from the Bond movie “Skyfall” with Daniel Craig.